In reflecting back on 2016, one of the worst things about last year were the assortment of terrible films that are better left as a distant memories—we pray our brains will alleviate them from our collection of short-term memories promptly. In leading up to the lackluster summer blockbuster season, the spring movie selection didn’t have much to offer consistent moviegoers. With highlights like Deadpool and Zootopia, we are left with the bitter taste that movies like Batman v Superman and Dirty Grandpa left in our mouths. Fortunately, the film industry is heading down the path towards redemption as they decided to step up their game with the movies debuting this spring. This year, audiences will be treated to some very heavy hitters that we’d normally have to twiddle our thumbs in anticipation for their summer release. 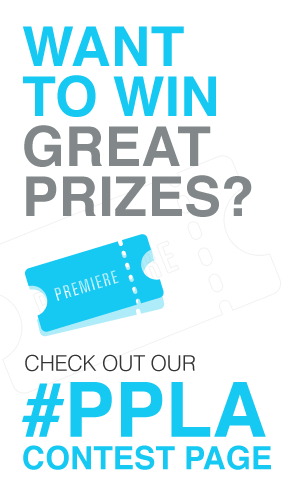 Likewise, Press Pass LA has your exclusive look into this spring’s most buzzed about films. Sit back, relax, and get ready for a steady release of mostly worthwhile films this upcoming season. • “Before I Fall”: Based off Lauren Oliver’s 2010 novel, this darker revisiting of Groundhog Day explores the life of a popular high schooler as she continues to relive the same day that leads to her inevitable death. Cast: Zoey Deutch, Halston Sage, Logan Miller, Kian Lawley. • “Logan”: As the third installment to the Wolverine franchise (originally named Wolverine 3), Logan is taking care of an ill Professor X when a young and burdened mutant girl arrives. Cast: Jackman, Patrick Stewart, Richard E. Grant, Boyd Holbrook. • “The Shack”: Based on the Christian novel of the same name, a father is led down a new spiritual path after experiencing a tragic loss. Cast: Sam Worthington, Octavia Spencer, Graham Greene, Radha Mitchell, Tim McGraw. • “Table 19”: In this unique romantic comedy, a group of strangers are assigned to “table 19”—a table for those that weren’t necessarily wanted at the wedding but were invited as common courtesy. Likewise, they decide to make the most of this experience. Cast: Anna Kendrick, Craig Robinson, June Squibb, Lisa Kudrow, Stephen Merchant, Tony Revolori, Wyatt Russell, Amanda Crew. • “Kidnap”: A woman goes on a high-speed chase in an effort to rescue her kidnapped son. Cast: Halle Berry, Lew Temple, Sage Correa. 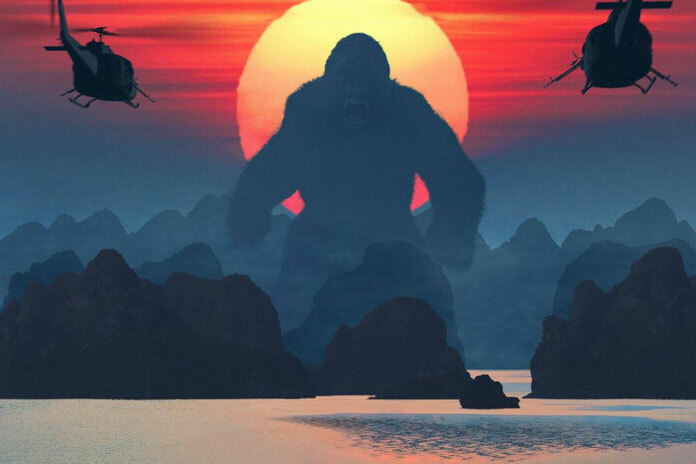 • “Kong: Skull Island”: A reboot of the iconic ape’s story is now a reality. Set in the 1970s, a team of researchers explore an undiscovered island that naturally is the land King Kong resides on. Cast: Tom Hilddleston, Samuel L. Jackson, John Goodman, Brie Larson, Jason Mitchell, John C. Reilly, Toby Kebbell, Corey Hawkins. • “The Last Word”: Originally premiering at this years Sundance Film Festival, the film explores the story of a former businesswoman who hires a young reporter to create her obituary before her death. Unhappy with the initial result, she sets out to change how she will be remembered. Cast: Shirley MacLaine, Amanda Seyfried, Anne Heche, Thomas Sadoski, Philip Baker Hall, Tom Everett Scott. • “Beauty and the Beast”: Amongst the list of Disney’s numerous live-action reboots slated to debut, this film tells the love story of a young french girl who is held captive by a beast in his mysterious castle. Cast: Emma Watson, Dan Stevens, Luke Evans, Ewan McGregor, Ian McKellan, Josh Gad, Stanley Tucci, Emma Thompson. • “CHiPs”: Due to the success of television turn movie adaptation of “21 Jump Street”, a CHIPS reboot was bound to come our way. Two polar opposite California Highway Safety Patrols are forced to work together to get the bad guys, but they naturally clash instead. Cast: Dax Shepard, Michael Pena, Vincent D’Onofrio, Isiah Whitlock Jr., Wilder Valderrama. • “Life”: A six-person space crew discover a form of extraterrestrial life which they initially are excited for, but they soon realize this discovery is more harmful then they expected. Cast: Rebecca Ferguson, Jake Gyllenhaal, Ryan Reynolds, Hiroyuki Sanada, Ariyon Bakare, Olga Dihovichnaya. 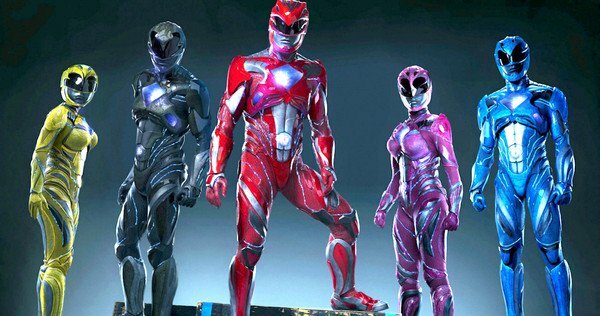 • “Power Rangers”: With this Power Rangers reboot, five teens come together to fight an evil witch and her army. Cast: Dacre Montgomery, Naomi Scott, RJ Cyler, Becky G, Ludi Lin, Bill Hader, Bryan Cranston, Elizabeth Banks. • “Song To Song”: Within the Austin, Texas rock ‘n’ roll music scene, two couples aim for success and love. Cast: Rooney Mara, Ryan Gosling, Natalie Portman, Michael Fassbender. • “T2 Trainspotting”: As an extremely late sequel that we should’ve seen coming, Mark Renton returns to familiar territory as his old friends welcome him back. Cast: Ewan McGregor, Ewen Bremner, Jonny Lee Miller, Robert Carlyle. • “Wilson”: Based off the graphic novel, a lonely middle-aged man earns another chance at happiness as he discovers he has a teenage daughter. Cast: Woody Harrelson, Laura Dern, Judy Greer, Cheryl Hines, Isabella Amara. Director: Craig Johnson. • “Boss Baby”: An animated comedy about a shakeup within a family after the arrival of a new baby boy. The story is told through a slightly unreliable source—a 7 year old boy. Cast: Alec Baldwin, Miles Bakshi, Tobey Maguire, Steve Buscemi. • “Ghost in the Shell”: Based of the Japanese comic, a special ops human-cyborg leads a team to aid her mission in fighting cybercrime. Cast: Scarlett Johansson, Michael Pitt, Pilou Asbaek, Chin Han, Juliette Binoche. • “The Zookeeper’s Wife”: Inspired by real events, this World War II drama tells the story of a married couple who used their zoo as a safe haven for hundreds of Jews. Cast: Jessica Chastain, Johan Heldenbergh, Daniel Bruhl. • “The Case for Christ”: An investigative journalist/atheist sets out to disprove Christianity, but soon has a change of heart. Cast: Mike Vogel, Erika Christensen, Faye Dunaway, Robert Forster. • “Colossal”: After a night of heavy drinking, a distraught woman wakes to discover that she is somehow connected to a monster rampaging is Seoul. Cast: Anne Hathaway, Jason Sudekis, Dan Stevens, Austin Stowell, Time Blake Nelson. • “Going In Style”: Once three lifelong retired buddies begin to struggle to pay the bills, the trio concoct a plan to rob the very bank that is causing them trouble. Cast: Morgan Freeman, Michael Caine, Alan Arkin, Ann-Margret, Christopher Lloyd, Matt Dillon, Joey King. • “Sleight”: After his parents untimely death, a young street magician is left to watch over his little sister and he seeks support from illegal activities to do so. After sparking up trouble, his sister is kidnapped and he’s forced to use his magic skill set to rescue her. Cast: Jacob Latimore, Seychelle Gabriel, Dulé Hill, Sasheer Zamata, Storm Reid, Cameron Esposito. • “Smurfs: The Lost Village”: In another live-action installment of the Smurfs movies, Smurfette leads the gain on a journey to find fellow Smurfs throughout the world. Cast: Demi Lovato, Mandy Patinkin, Jack McBrayer, Danny Pudi, Rainn Wilson, Michelle Rodriguez, Ariel Winter, Ellie Kemper. • “Wonder”: Based on the book of the same name, a young boy with a facial deformity wants to finally be treated like a normal kid. Cast: Jacob Tremblay, Julian Roberts, Owen Wilson, Mandy Matinkin. • “Gifted”: A single man tries to raise his mathematically brilliant 7-year-old niece in a life of normalcy, but his plans are quickly disrupted once his niece’s abilities are discovered by his mother. Cast: Evans, Mckenna Grace, Lindsay Duncan, Jenny Slate, Octavia Spencer. • “Spark: A Space Trail”: Spark, a teenage monkey, teams up with his friends to fight the evil overlord General Zhong. Cast: Jace Norman, Jessica Biel, Hilary Swank, Susan Sarandon, Patrick Stewart, Jason Deline. • “The Fate of the Furious”: In the eighth installment of the blockbuster franchise, Dom and Letty are enjoying a relatively normal life as a married couple until he’s lured back into a life of crime. Cast: Vin Diesel, Michelle Rodriguez, Dwayne Johnson, Jason Statham, Scott Eastwood, Charlize Theron, Tyrese Gibson, Kurt Russell, Ludacris, Helen Miren, Nathalie Emmanuel. • “Born in China”: As a part of DisneyNature’s Earth Day celebration, comes a documentary about the unique wildlife in China. Narrator: John Krasinski. • “Free Fire”: A woman plans to meet with two Irishmen and a gang, who are selling them a stash of guns. Naturally, the deal takes a turn for the worse. Cast: Brie Larson, Sharlto Copley, Armie Hammer, Cillian Murphy, Jack Reynor. • “Leap!”: Originally released to European audiences as Ballerina, an orphan french girl gets the chance of a lifetime in this animated feature to become a ballerina. Cast: Elle Fanning, Dane DeHaan, Maddie Ziegler, Carley Rae Jepson. • “The Lost City of Z”: A British explorer journey’s through the Amazon where he finds evidence of an advanced civilization that once resided on the region. Cast: Charlie Hunnam, Tom Holland, Robert Pattinson, Sienna Miller, Angus Macfadyen. • “Unforgettable”: Still dealing with unresolved feelings from her dissolved marriage, a woman begins her path towards revenge after meeting her ex-husband’s new fiancee. Cast: Katharine Heigl, Rosario Dawson, Geoff Stults, Cheryl Ladd. • “The Circle”: Based off the novel of the same name, a woman lands a job with a powerful technology and social media company. She is convinced by the founder to partake in a risky experiment that ultimately affects the lives and futures of friends, family and humanity. Cast: Emma Watson, Tom Hanks, John Boyega, Patton Oswalt, Bill Paxton, Karen Gillan. • “Norman: The Moderate Rise and Tragic Fall of a New York Fixer”: After becoming the political adviser to a prime minister, a financial deceiver lands himself in the middle of an international scandal. Cast: Richard Gere, Michael Sheen, Dan Stevens, Steve Buscemi, Charlotte Gainsbourg, Lior Ashkenazi. • “The Promise”: During the last days of the Ottoman Empire, a love triangle forms right before the Armenian genocide begins to set in. Cast: Oscar Isaac, Christian Bale, Charlotte Le Bon. • “Guardians of the Galaxy Vol. 2″: Star Lord/Peter Quill returns alongside his gang to discover the truth regarding the origins of his parents. Cast: Chris Pratt, Zoe Saldana, Dave Bautista, Vin Diesel, Bradley Cooper, Michael Rooker. • “King Arthur: Legend of the Sword”: When Arthur’s father dies as he’s a child, his uncle takes the throne—ultimately distorting how he knows himself to be. Audiences will see the journey of Arthur from the streets and his path towards the throne. Cast: Charlie Hunnam, Jude Law, Astrid Bergès-Frisbey, Djimon Hounsou, Aidan Gillen, Eric Bana. • “Alien: Covenant”: As a continuation of Ridley Scott’s famed Alien franchise, members of the Covenant ship find a potential undiscovered paradise and things quickly become dangerous as aliens force the crew to fight for their lives. Cast: Billy Crudup, Katherine Waterson, Michael Fassbender, Danny McBride, Demián Bichir, James Franco. • “Baywatch”: Lifeguard Mitch Buchannon is forced to team up with a new recruit—that he instantly clashes with—to save the bay from a potential threat. Cast: Dwayne Johnson, Zac Efron, Priyanka Chopra, Alexandra Daddario, Kelly Rohrbach, Jon Bass. • “Diary of a Wimpy Kid: The Long Haul”: A family road trip heads down a path towards disaster as a boy concocts a scheme to become famous. Cast: Jason Drucker, Owen Asztalos, Charlie Wright, Alicia Silverstone, Tom Everett Scott. • “Everything, Everything”: Based off the book of the same name, a teenage girl is housebound due to her illness, but she becomes curious of the outside world as a boy moves in next door. Cast: Amandla Stenberg, Nick Robinson, Anika Noni Rose, Ana de la Reguera, Taylor Hickson. • “Paris Can Wait”: While facing a crossroad in her marriage to a famed movie producer, a woman decides to take a spontaneous two-day road trip with her husband’s business partner from Cannes to Paris. Cast: Diane Lane, Alec Baldwin, Arnaud Viard, Cédric Monnet. • “Mother”: A couples relationship is put to the test as uninvited visitors arrive at their home. Cast: Jennifer Lawrence, Ed Harris, Michelle Pfeiffer, Javier Bardem, Domhnall Gleeson. • “Pirates of the Caribbean: Dead Men Tell No Tales”: The fifth installment of this Disney franchise sees Jack Sparrow facing off against his old nemesis Captain Salazar, alongside his deadly ghost crew, as they escape the Devil’s Triangle with a mission to kill every pirate. Cast: Johnny Depp, Orlando Bloom, Javier Bardem, Brenton Thwaites, Kaya Scodelario, Geoffrey Rush. • “Captain Underpants: The First Epic Movie”: Based off the popular children’s book series, two children hypnotize their principal who then turns into the superhero, Captain Underpants. Cast: Ed Helms, Kevin Hart, Nick Kroll, Thomas Middleditch, Kristen Schaal, Lesley Nicol. • “Wonder Woman”: When an American pilot crash lands on the shores of an island, he shares the story of major conflict brewing within the outside world. Likewise, Diana Prince—aka Wonder Woman—believes she can stop the threat and works alongside man in a war to do so. Cast: Gal Gadot, Chris Pine, Robin Wright, Connie Nielsen, David Thewlis, Danny Huston.